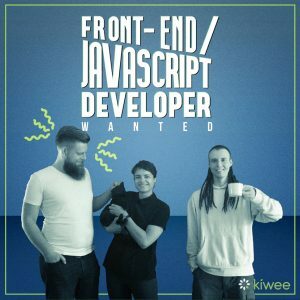 Kiwee is growing and we are hiring non-stop! This blogpost should satisfy your curiosity 🙂 Below you will see a list of roles we're actively hiring for at the moment, skills we are looking for in people and technologies we focus on as a company. Love for coding, simply that. This is our common passion here at Kiwee. Ability to learn, flexibility and open-mindedness. Without that we won't evolve. Desire to constantly be trying out new technologies. Because it's 21 century. Professionalism and good work ethics. Because how without that!? Team-player attitude and a desire to learn from peers. Because 'people first', then the rest. Client-oriented approach and communication with them on a daily basis. That's our mode. Proactivity and desire to be challenging status quo. Because we are all mature adult people here. That's how we roll. If all the above is culture you want to be part of, check out our role openings. 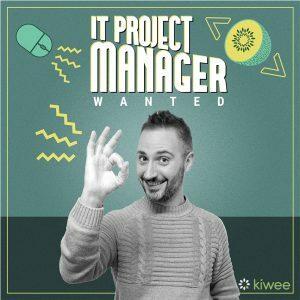 Fluent English (B2, B1, C2, C1), for IT Project Manager - C2, C1. Scrum/Agile experience is a must and eCommerce experience - a plus. So, ready? Here we go! You are an ideal candidate if you love working with technical teams, coaching & developing them, if you're a fan of leading complex projects with international clients independently and if you are excited to be growing a small company through shaping the strategy and direction. We are looking to hire an experienced professional, thus 3 years of managing software development projects is a must. Technical background and a Scrum Master certification will only make your application stronger! Check the specifics of the role and apply here! 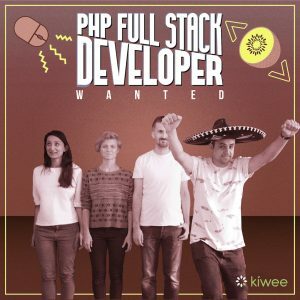 We're on a constant hunt for great PHP Full Stack Developers. Join us if you want to be involved at all stages of complex international technical projects starting from planning and designing architecture to coding, testing your code, documenting and presenting the results to business. Some of the must-haves for the role include strong commercial experience in programming in PHP7 and PHP5, familiarity with the Zend framework, strong knowledge of SQL and web services (REST, SOAP). If you write commented, efficient and scalable code, you trust in console and you can’t imagine your work without Git - you're definitely a fit! You would be part of a team responsible for developing scalable and responsive Single Page Applications. You would be writing new and maintaining existing unit tests, reviewing your peers’ code, writing documentation for developers and product owners, sharing your knowledge with teammates and constantly learning new things. Read about the rest of tech requirements and apply here! We are looking for a Software Developer in Test with a 2+ years of experience in automated testing of web applications. 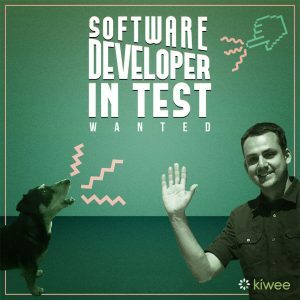 You would have a unique chance to contribute to taking a small company's testing infrastructure to an absolutely next level. On a daily basis we want you to be writing functional and integration tests, designing new and extending existing test automation tools, preparing and executing load tests, create new and maintain existing test scenarios and generating reports, analysing test results - and that's not all. There are more must-haves. Check the specifics of the role here!